This year winter came pretty unexpected after an absolutely mild fall. 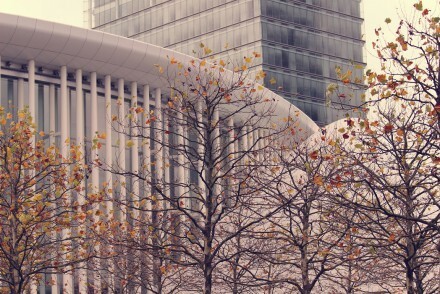 And I feel like my skin needs more love than ever to resist the low temperatures! So I am doing a facial care post for you today since I have been getting a lot of requests about skin care and what my favorite products are. 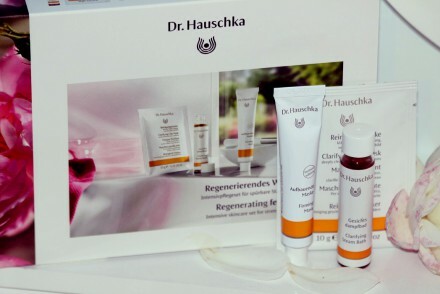 A very exciting part of being blogger is to have a chance to learn new products and to test them in advance. 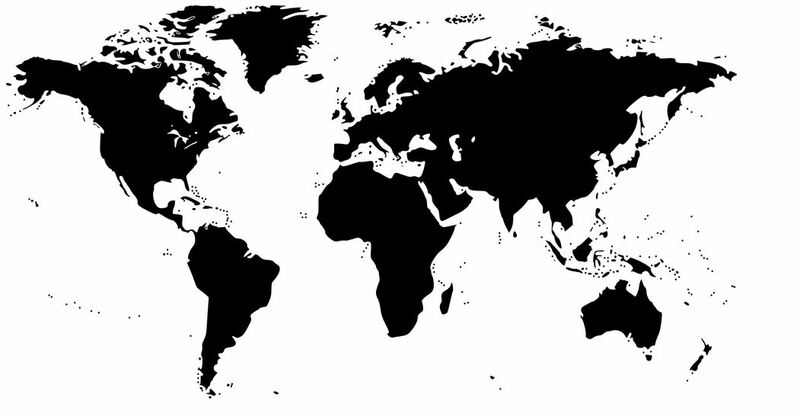 So there will never be a shortage of content according beauty posts on Skinnycature ;-)! I always have to tell you guys whenever I find new tips out about skin care and hope to be really helpful! Scrubs, creams, BBcrems, facials & Co. it is not that easy to find the best and appropriate solutions for the facial skincare routine in this “Cosmetics Jungle”! The second rule is better not to mix the products from different product ranges and manufacturers. It could lead to bad irrirations because of the mix of various components. And it is really not a trick of the beauty store assistants! And I always stick with these products (especially in winter) and my skin feels baby soft and brand new! Here is the brief productinsight. 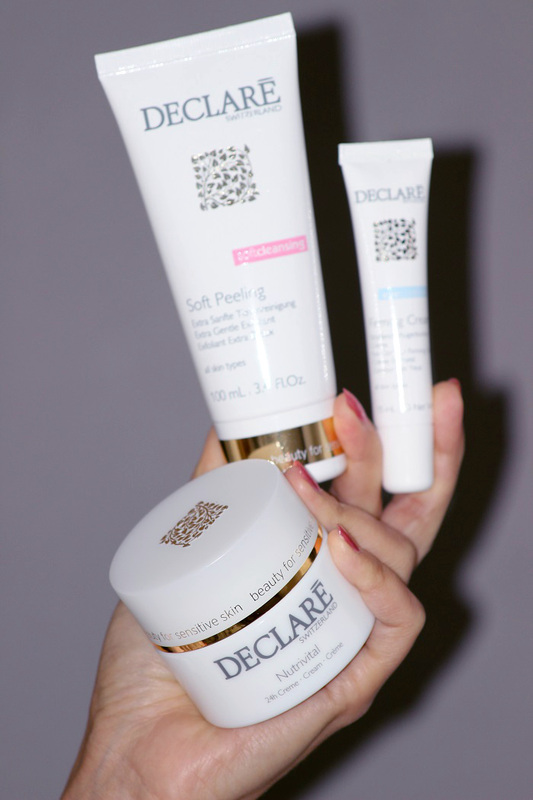 Good cleansing is the first basic step of a facial care routine. 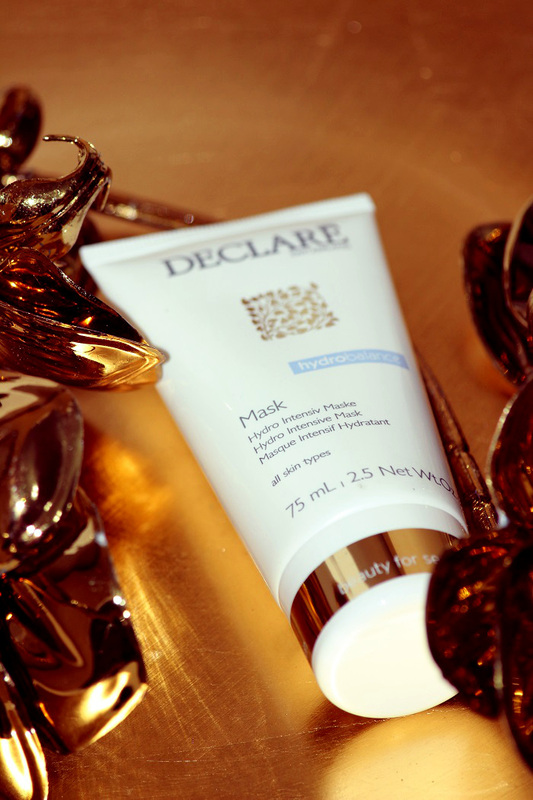 I have used the mild DECLARE Cleansing Gel since months and it works for me so why change? I love the way it feels on my skin, so silky, fresh and soft and never feels irritating. Two times per week I also do DECLARE Soft Peeling to get rid of the old skin particles and to support the cell reproduction. You shoul better peel in the evening as the skin reproduction processes are more intense during nights. DECLARE also have this amazing skin Hydro Intensiv Mask that I love to use! It’s a little more pricey but feels amazing on your skin. What I adore is that no facial expression wrinkles appears on your face. I love its creamy structure and it makes it easy to spread on the whole face. The area around our eyes is very sensitive and much more thinner as the rest of the skin. So it needs a special care! 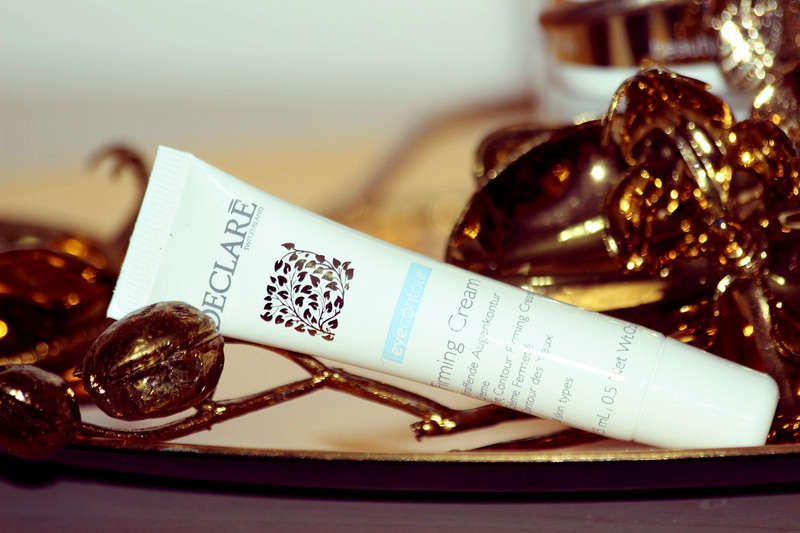 I am a huge fan of DECLARE Eye Contour Fimring Cream. And if you want your eye contour to feel silky and to have a little glow to it then I suggest this product. I feel like ever since using this my eye contour is smoother, my makeup goes on easier, and I’m pretty sure my skin is tighter. 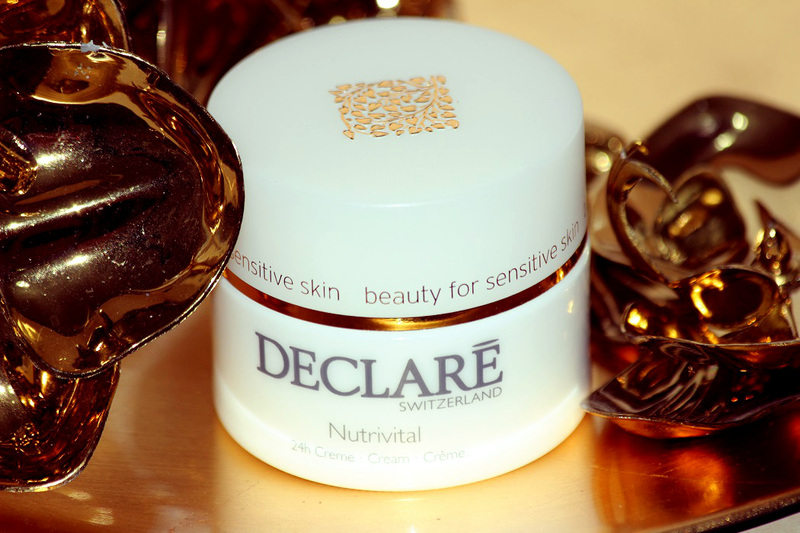 I use DECLARE Nutrivital 24h Crem form y dayly care. This stuff is amazing!! I just put it on after I clean my face and it is so simple and light, just like lotion. I do my best not to get any dry skin on my face and wrinkles. This cream gives me that glow that makes it so fresh that I can throw a little makeup on or just powder and run out the door, it is perfect year round. So guys don’t blame winter for the upcoming cold months! If you treat your skin well it will thank you for sure! 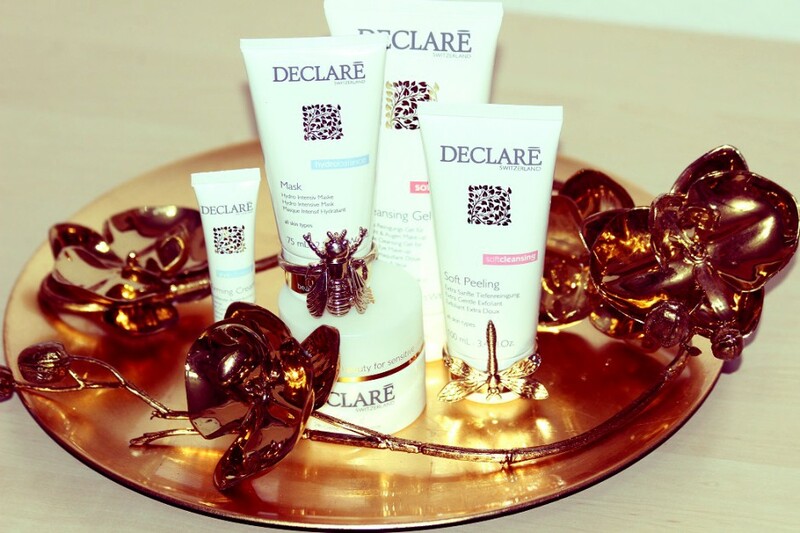 If you are still looking for the best xmas gifts I can reccomend you the DECLARE cosmetics. You can make the best purchase on Flaconi.de! Hola Lena! Nunca he usado estos productos, pero si los recomiendas será hora de hacerlo! This brand sounds really good, thank you for sharing! Hi Honey, these products look like very fantastic! I didn’t know these products! Great review, lovely girl! You’ve gotta take care of that gorgeous skin! It sounds good! 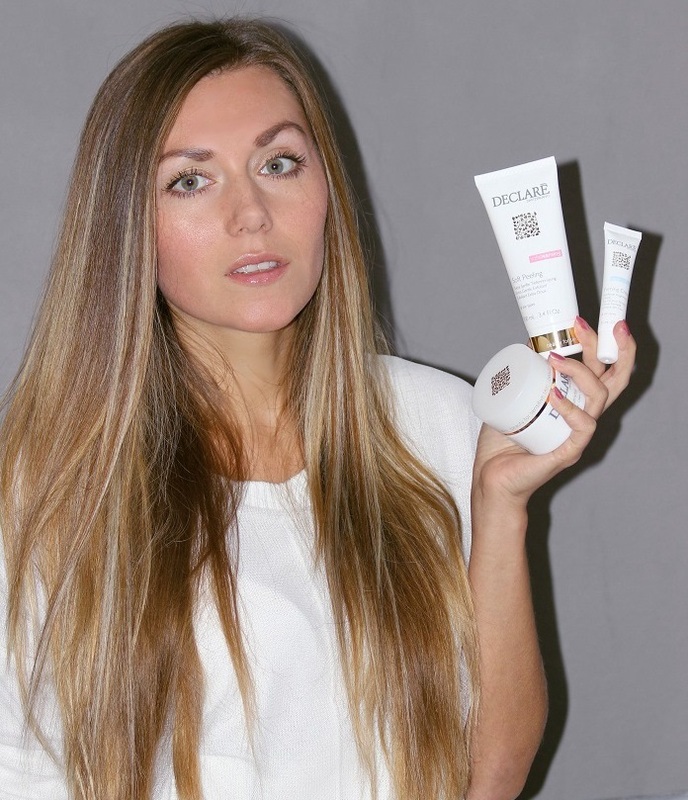 I want to try these products! I have never heard of these products, but from what you’re saying babe, I would definitely love to give them a go Will definitely be checking the site out! THX for your comment dear! They seem really great products! Wish you a wonderful Wednesday! Good post I am looking for a nice cream to put around the eyes. You look so beautiful!! Thank you for the Tips. The products are absolutely awesome. Have a great day dear! The hydro mask looks like an interesting product, I’d love to try it!